Ah, it’s that time of year again. We get to spend time with friends, family and eat ourselves into a food coma….or multiple food comas in my case. I can hang with the best of them and must admit that dessert is something that keeps me in the gym all year round. But once the holidays are over, we generally go into a season of resolutions, gym memberships and buying health gadgets that get tossed under the bed after a month of use. 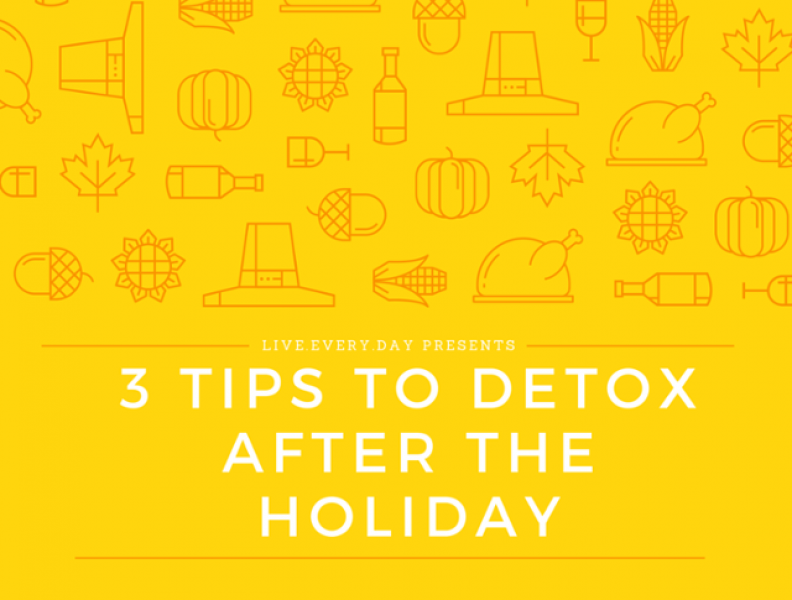 To help me and help you, I wanted to write this blog to give three inexpensive tips to help you detox from the holidays. 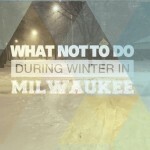 I know that you probably won’t touch this blog until after, but that’s okay. I’ll just sit this right here for now. First let me say that I am not an expert when it comes to nutrition, but I can easily recognize personal results. Over a period of 30 days I lost 15 pounds, increased mental clarity and improved energy levels by doing these 3 things. Let’s face it, healthy relationships, a great career and growing closer to God can be tough if our bodies are broken down due to poor health habits. 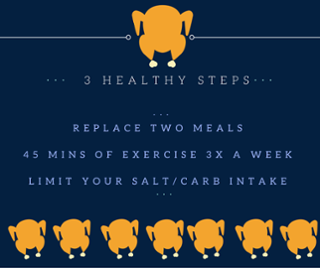 So here are three simple things you can do to become a healthier you after you have destroyed some holiday meals…and leftovers. The healthy smoothie will help you get in loads of vegetables and fruit you need to support a healthy lifestyle. 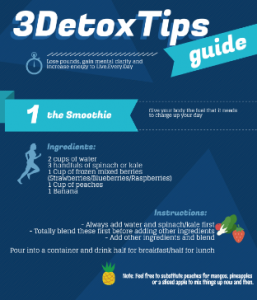 This smoothie can replace your breakfast and lunch. Make sure to add a mid morning snack like mixed nuts to keep your blood sugar levels normal. Cardio on a bike, treadmill or elliptical at a medium pace for 20-30 minutes three times a week. Monitor your heart rate to stay within healthy beats per minute. The remaining 15-20 minutes should be spent in resistance or light/medium weight training. Calories are important. If you take in more than you burn, you will not lose pounds. So take a look at this chart to determine the amount you should take in each day in order to see progress. Remember that eating foods high in salt makes your body retain and water = weight. So reduce your salt and sugar intake to healthy levels to see best results. By using these three simple steps, I was able to lose a healthy 15 pounds in a month, while increasing focus and energy. With these changes I became more productive on the job and more present for my family. I want to hear from you…how’s it going?